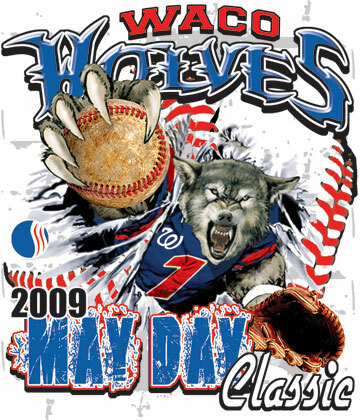 In honor of May Day, I found this very cool graphic of a youth baseball tournament that has been going on in the midwest since 1999. Yesterday was mostly a day of rest for our boys except for Ian and Scott, who were a bit frustrated! So, how did they do?? Brad, didn’t play in the Dodgers’ victory over the Giants. Ryan went 0-for-4, with two strikeouts in the Brewers victory over the Diamondbacks. He lowered his average to .317 and extended his streak to 170 errorless games. He seems to be in a minor slump, but I’m sure he’ll come out of this weekend. Craig didn’t pitch yesterday because the Twins had an off day. Because of Wednesday’s rainout, Scott’s next start is tonight at home against Mark Buehrle and the White Sox. John didn’t pitch because the Pirates had a day off. Gabe didn’t play in yesterday’s demolishing of the BoSox. Ian went 1-for-4, with a single and walk in yesterday’s Rangers loss to the A’s. However, he could have had a much bigger game if not for A’s outfielder Ryan Sweeney’s fantastic catch in straightaway center that robbed him of a 3-run homer, which caused Ian to slam down his helmet in anger. Here’s the link to the video. Not sure how to embed video yet, but I’ll get Orangebird to help me. A’s manager Bob Geren said the 6-foot-4 Sweeney “needed every inch” to make the play. Scott had an awful outing yesterday against the Brewers. He entered the game with 2 outs and the game tied 1-1, and proceeded to issue a bases loaded walk to Prince Fielder and then gave up a 2-run double to Mike Cameron. But because of the magic of baseball statistics, his ERA remained at 2.35. He still looks angry, if you ask me!